Our coaching staff are good teachers. They have the ability to see what you are doing right and prioritise those elements that need to be improved so you get better as quickly as you can. They are able to tailor the way in which they explain things to take into account each individual’s learning style. Our coaches understand that feeling safe, supported and informed are the best ways to get you to thrive in our gym. 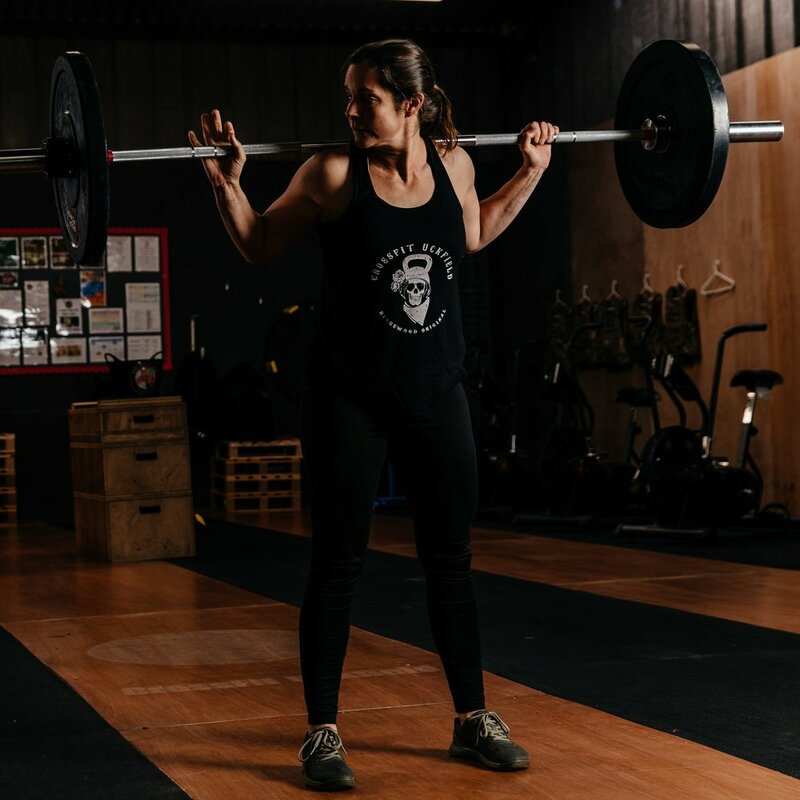 Krish is owner and Head Coach at CF Uckfield - a Level 1 CrossFit Coach, Level 1 British Weightlifting Coach and Level 3 Personal Trainer with full DBS clearance. She has certificates in Functional Fitness, Bootcamp and Group Fitness and Pre and Post-Natal Exercise. She is also a mum and wife to a mainly paleo family. In a previous incarnation, she was a primary school teacher. Maggie is a Level 1 CrossFit Coach and a fully qualified primary school teacher with full DBS clearance and a seasoned CrosssFitter. She coaches CrossFit classes, FitClub classes and our Special Needs CrossFit Classes, using appropriate scaling options to ensure smooth transitions for adults and children as well as delivering One-to-one Sports Specific Coaching for kids. She has competed in a variety of CrossFit events and is mum and wife to a mainly paleo family. Russ is co-owner, a L1 CrossFit Coach and a passionate CrossFitter with full DBS clearance, ourHead Judge for in-house competitions and also ourDirector of Operations at the gym. When he isn’t working full-time, he is pretty much always found in the gym, either training or coaching, rigorous in his quest for beautiful movement. He guarantees to get you your first double unders in ten minutes flat!